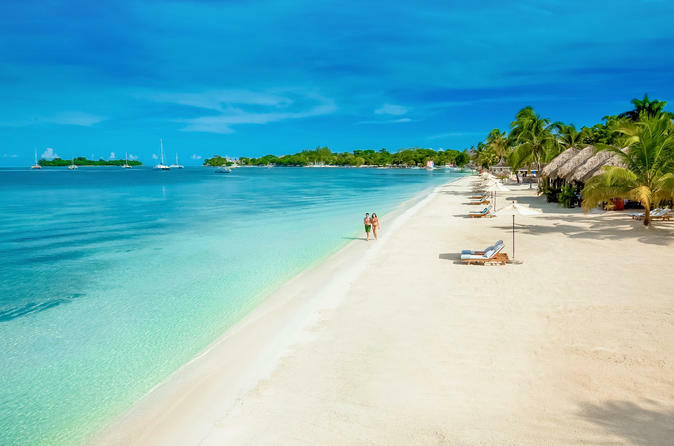 While Negril’s beaches are undeniably gorgeous, there’s more natural beauty to be found in Jamaica in addition to white-sand shores — discover the delights of the island’s less-visited St Elizabeth parish on this activity-filled day trip! You’ll take a boat ride down the Black River, looking for native birds, alligators and other wildlife; go for a swim at the bottom of YS Falls; and tour one of the country’s oldest rum distilleries, Appleton Estate, where tastings await. Lunch and hotel transport are included. Combine water, adrenaline and lounging in the tropical sun on the tour that has it all! 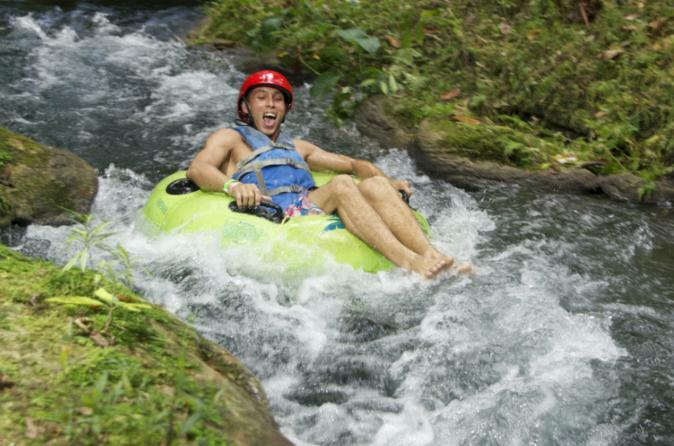 Go inner tubing in a Jamaican river! 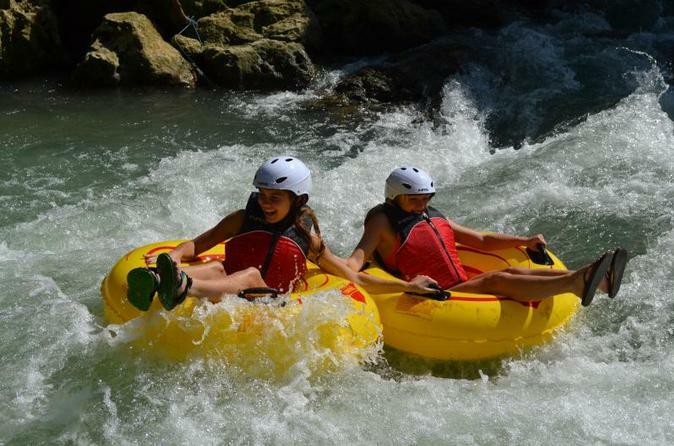 Start your Jamaican inner tube adventure with a relaxing float through some of the most picturesque areas of the island. Then it's on to the rapids which are just right for a fun-filled adventure. You'll want to ride them over and over again! 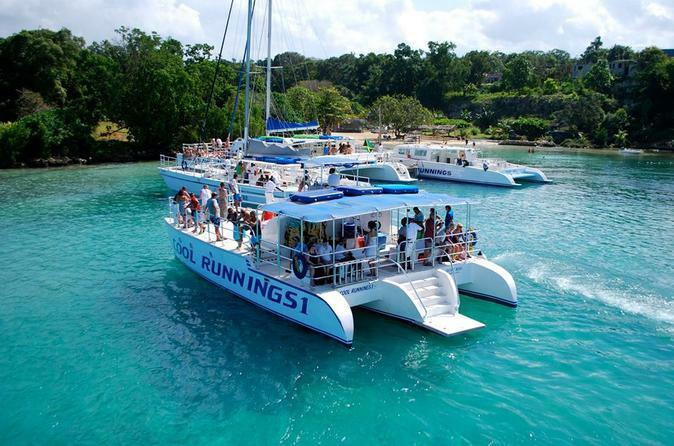 Take a luxury catamaran cruise along the coast around Negril to the waters off of Rick’s Cafe for a spectacular view of the sunset! 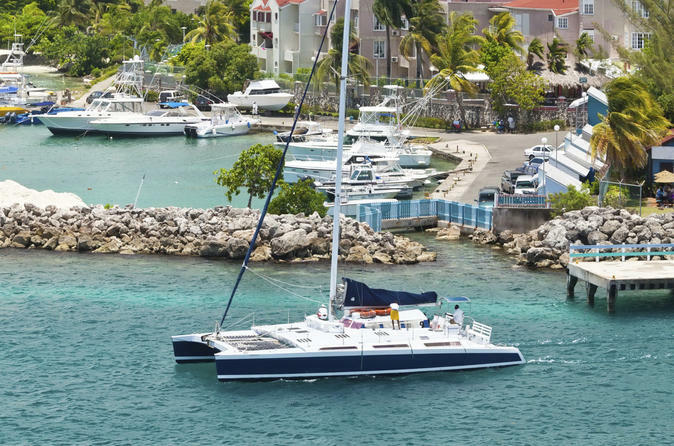 Snorkel from the boat and see colorful fish and corals, or sunbathe on deck and enjoy the sea. With reggae music playing and complimentary drinks, you will experience the beauty and relaxation of this piece of Jamaican paradise. Where else in the world can you experience the thrill of bobsledding without the icy conditions of a snowy mountain? 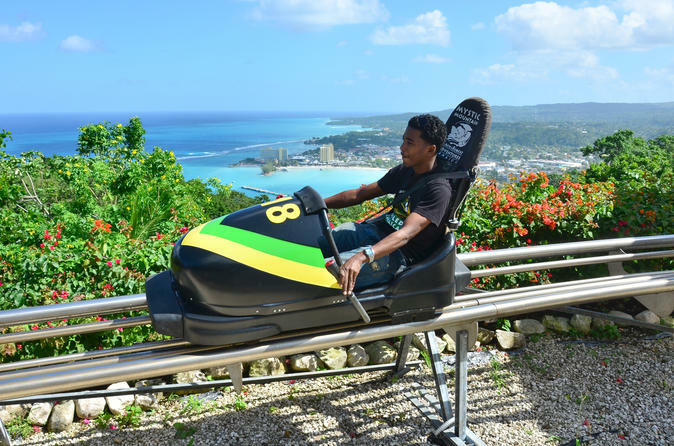 For the adventure of a lifetime in Jamaica, book yourself a seat on a bobsledding tour from Montego Bay, Negril, Ocho Rios or Runaway Bay. Buckle up, hold on and get ready for a thrilling ride through the Jamaican rainforest you won’t want to miss! 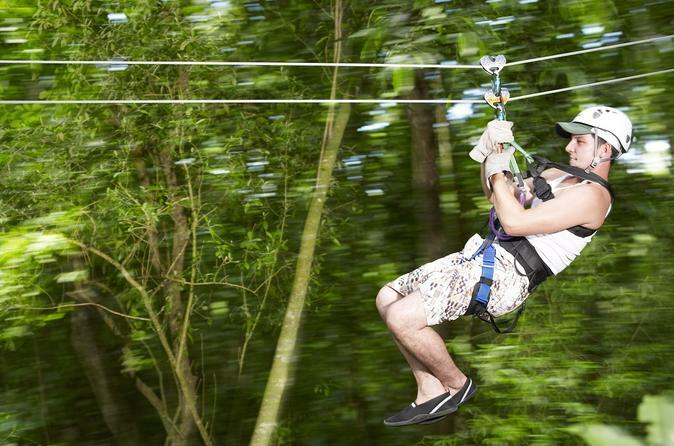 Soar high above the Jamaican rainforest for breathtaking views of exotic Ocho Rios. There's no better way to experience the beauty of Jamaica than from 700 feet (215 meters) above sea level in a state-of-the-art chairlift! 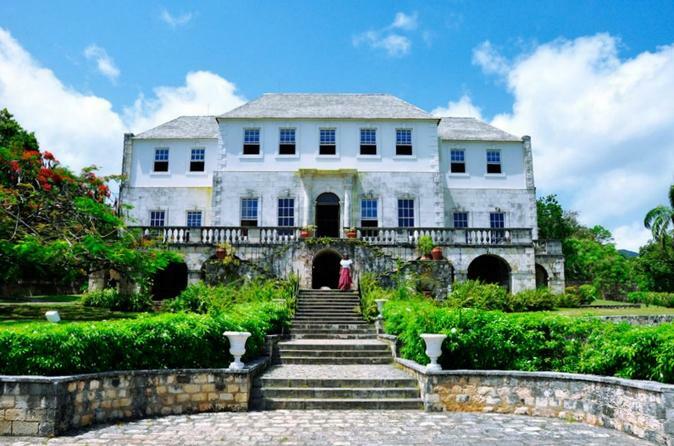 Check out Montego Bay’s city sights and take an evening tour of the supposedly haunted Rose Hall Great House with this convenient combo experience on Jamaica’s north coast. Spend the late afternoon in Montego Bay with a local guide, who will show you attractions like Sam Sharpe Square and St James Parish Church. 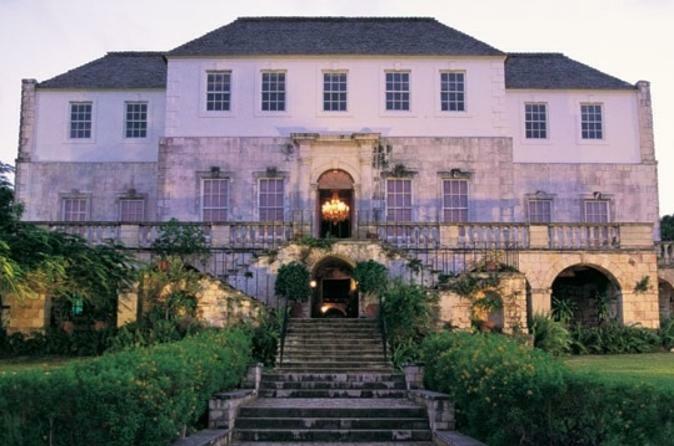 Then explore Rose Hall Great House by candlelight to learn about the legend of Annie Palmer, the murderous ‘White Witch of Rose Hall.’ Transport is available from Negril and Montego Bay, as well as the Grand Palladium in Lucea. Explore mangrove swamps by horseback and spot the slender snouts of crocodiles. This morning eco-adventure tour from Negril whisks you to Rhodes Hall Plantation, where a guide leads you from the coastline into a dense jungle teeming with the sights and sounds of wildlife. Then, snorkel in the open expanse of Half Moon Bay and swim within reaching distance of sea urchins, tropical fish and anemone. Convenient hotel transport is included. While you’re in Negril, don't miss the chance to visit another Jamaican city on this day trip to Montego Bay. You’ll start off with a scenic drive along Jamaica’s northern coast, followed by a city tour to see Montego Bay’s historical highlights. Shop for unique souvenirs to take home at a local crafts market and enjoy views of paradise from the Richmond Hill Hotel. Stop by Jimmy Buffett’s Margaritaville for an optional lunch, where you can purchase a cheeseburger and then throw yourself down a waterslide — straight into the Caribbean Sea! 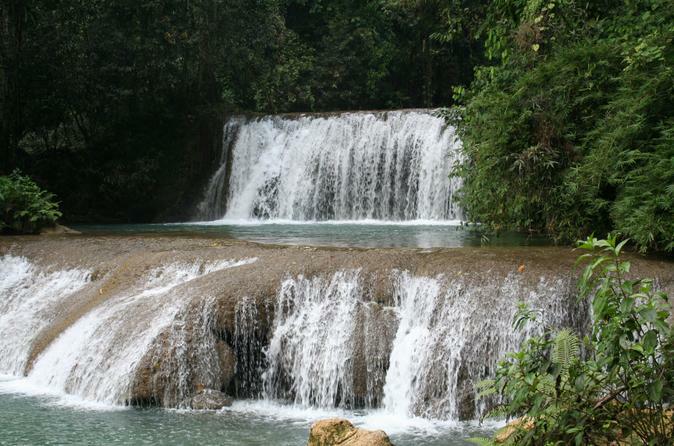 Check out one of Jamaica’s natural wonders on this tour from Negril to YS Falls. Set amid the lush landscape of St Elizabeth parish, YS Falls stands 120 feet (37 meters) tall and provides a naturally beautiful place to cool off and play in the water. Swim in the cascading pools and swing through the air like Tarzan, or just relax and enjoy the views. Hotel pickup and drop-off are included. Experience the natural beauty of Jamaica on a 3-hour horseback-riding tour in Negril, which includes hotel pickup and return. 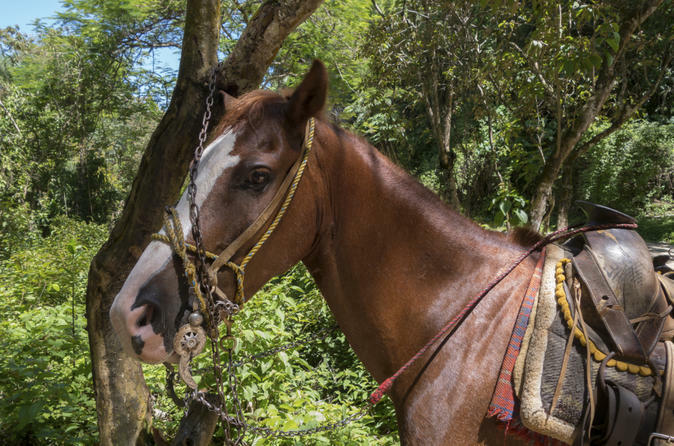 With an experienced guide, lead a friendly horse down a jungle route that will take you past lush vegetation, up hills and to the beach. You may even see tropical birds or other native wildlife. Numbers are limited to 20 people, ensuring a personalized experience with a small group. Experience this mystical phenomenon! 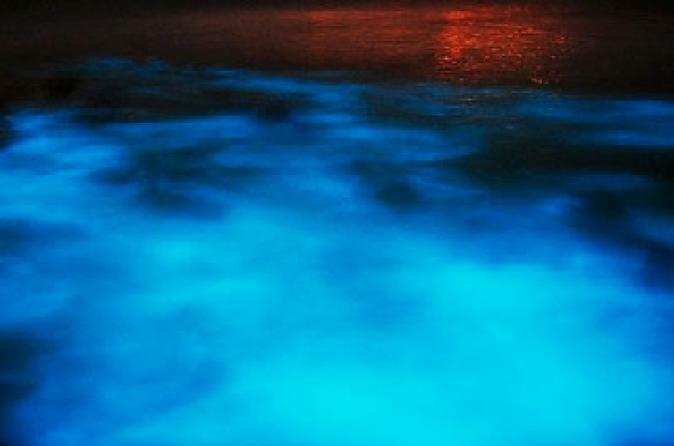 At night, the lagoon sparkles and glistens when disturbed, as these microscopic organisms produce an eerie glow, reflecting the outlines of fish and other objects in the water. 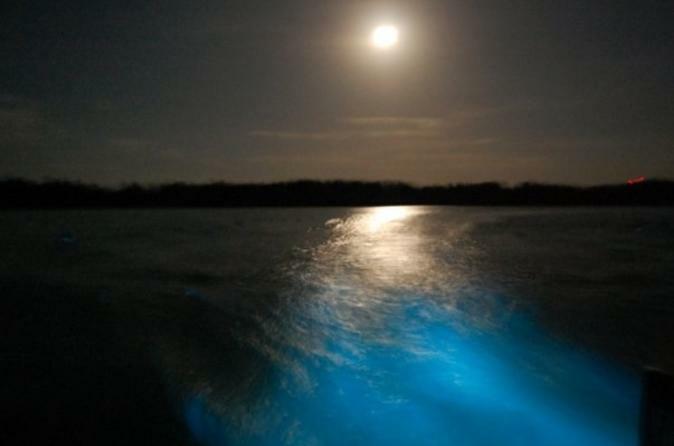 The luminous lagoon is said to be the largest and most brilliant of four in the world, a fact that continually attracts and awes visitors and scientists from around the world. Experience a once-in-a-lifetime adventure with this private tour to the Black River, YS Falls and the Pelican Bar. 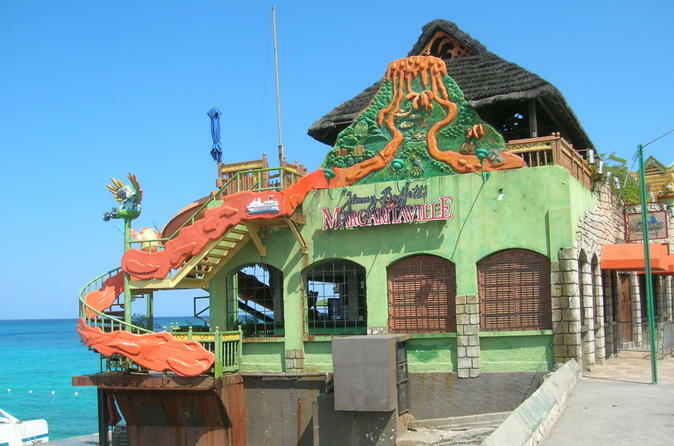 Take a safari boat tour on the Black River then feel an adrenaline rush as you zipline around YS Falls and finally relax with a cocktail the Pelican Bar. This private tour will be the adventure of a lifetime! 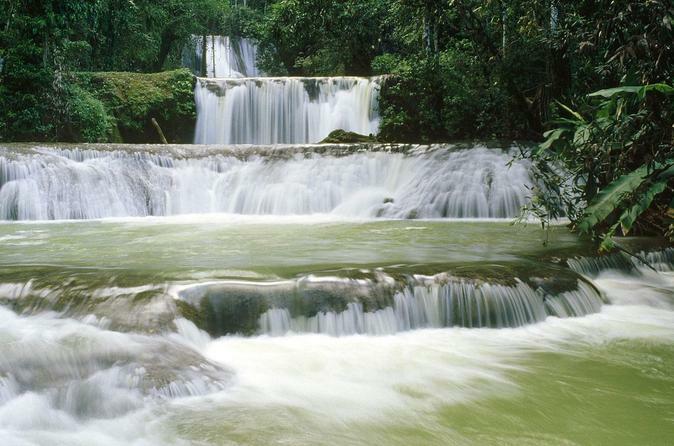 Enjoy a tour of Jamaica's South Coast on this full-day tour! This scenic tour will take you to the famous YS Falls and then to a safari boat on the Black River. A delicious local lunch is included. 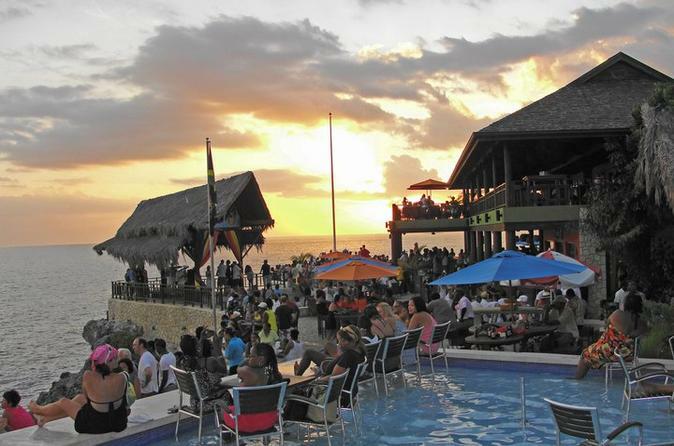 Check out the best things to do and see when visiting Negril, Jamaica with a private guide! 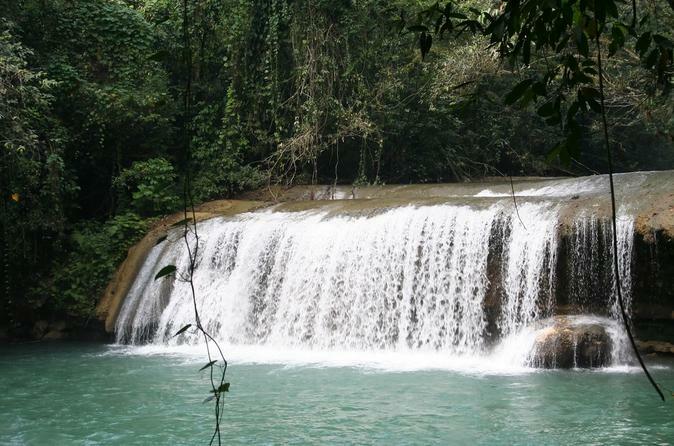 Experience rafting or feeding the hummingbirds in Jamaica with a private tour guide! Raft down the Rio Bueno River, located near Falmouth and then visit the Rocklands Bird Sanctuary! 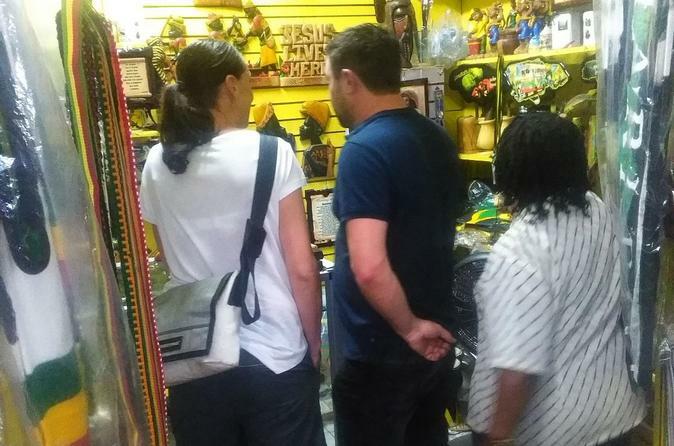 This private tour includes a professional guide along with hotel pickup from Montego Bay and Negril. 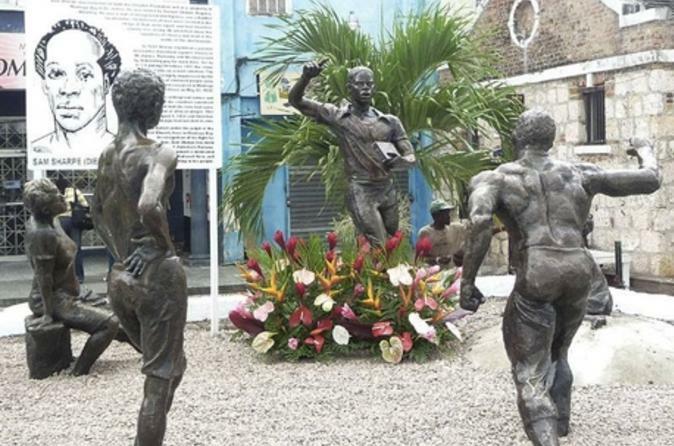 Enjoy a private and customized day trip and tour which allows groups, family and friends to enjoy wonderful Jamaican cuisine at Usain Bolt's Tracks and Records for 1 to 1.5 hours. 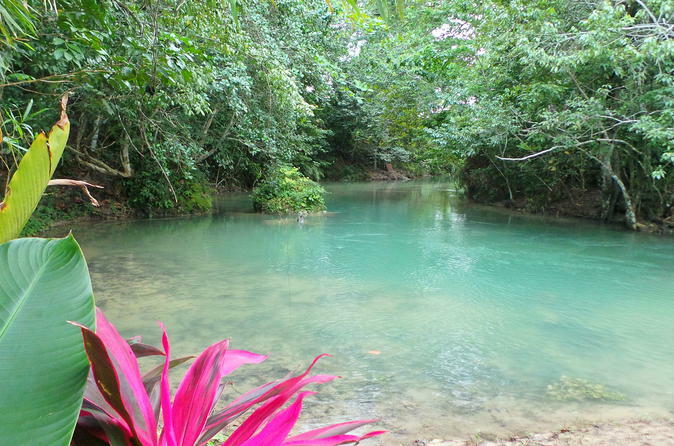 Then enjoy a nice 1 to 2.5 hours of relaxation and fun-filled adventure at the Blue Hole - all in one package. This sophisticated tour and day trip allows guests to indulge in all of what is unique about this island. You will enjoy the benefits of a guided sightseeing tour, picturesque stops, historical sights and landmarks with commentary information about Jamaica, the land we love. 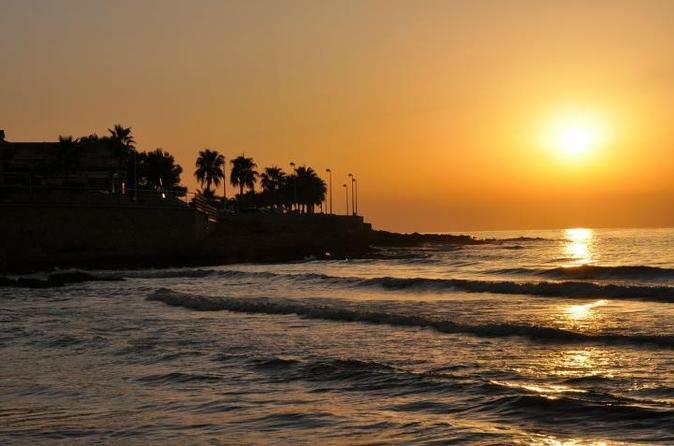 With this personalized tour, you choose what you want to do first and let the fun begin. Experience a great adventure with this private tour to YS Falls. YS Falls is 120 feet tall and gently cascades over seven levels. Also try the canopy zipline tour which lets visitors “fly” 40 feet above the waterfall. River tubing rides are also available, allowing you to enjoy the serenity of floating down the river surrounded by the lush jungle towering overhead. This private tour will be the adventure of a lifetime! Experience some of the best attractions in Jamaica…at night! Visit Rose Great Hall and Luminous Lagoon on a private excursion. Hotel pickup and drop-off is conveniently included in your tour price. This is one trip you won't want to miss! 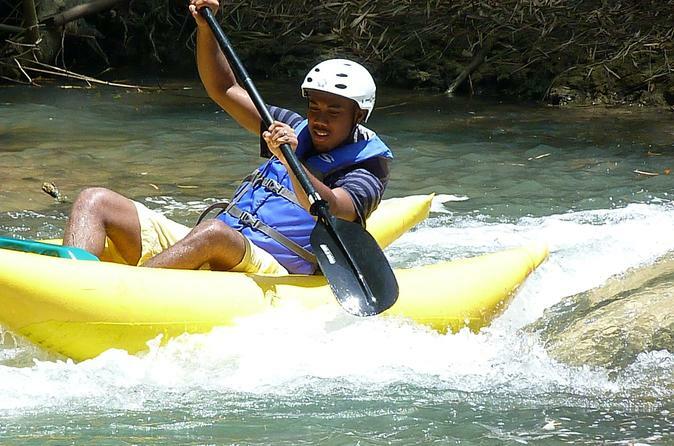 Explore the Great River of Jamaica by kayak and zipline. On this 2-hour guided tour, you get to ride some rapids, crisscross over the water on three ziplines, and holler like Tarzan as you soar through the canopy. Convenient pickup and drop-off from most Negril and Montego Bay hotels is included. 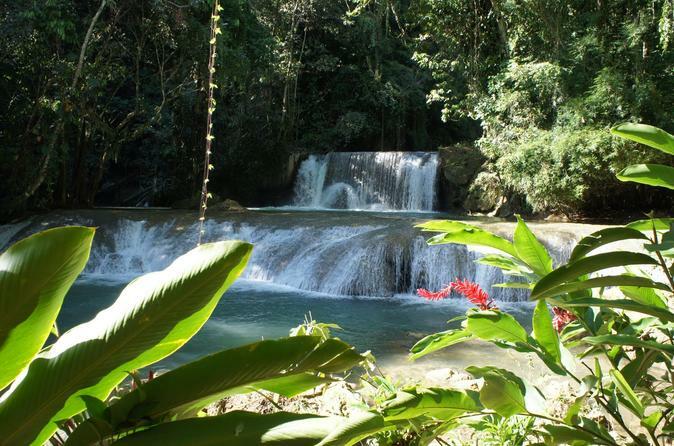 Climb the falls and do river rafting in Jamaica with a private tour to the famous Dunn's River Falls and Martha Brae River. 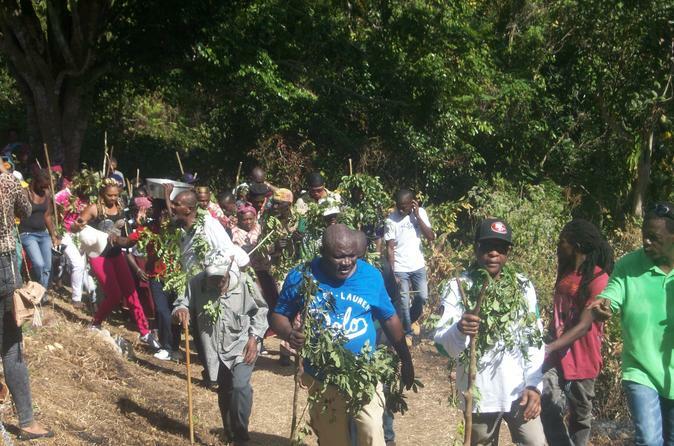 Tour the Accompong Town Maroon Village on January 6th for their annual Maroon celebration. Traditional Maroon food and dance will be available. See Maroons dressed in traditional maroon disguise. 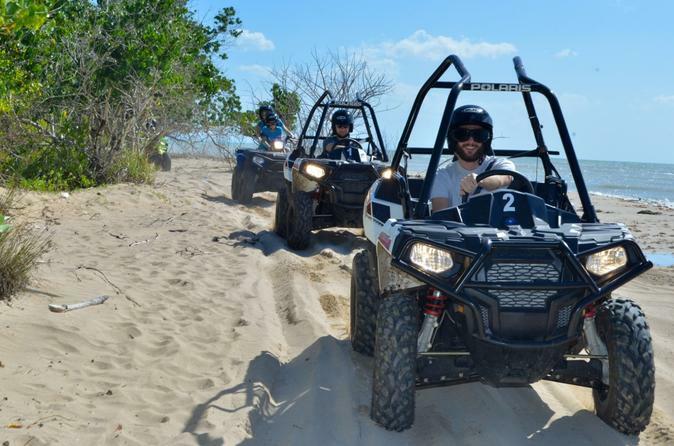 Imagine yourself zipping above trees and through a beautiful natural environment while taking in the view of the world’s famous speedway, Caribbean Sea and mountains. 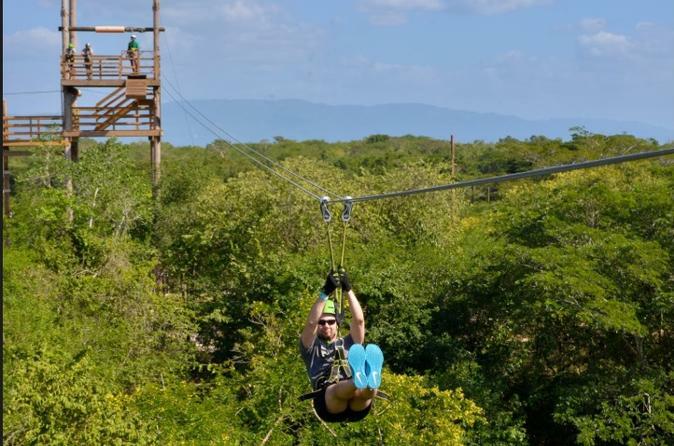 Whether it is your first time ziplining or not, nothing can compare to this reggae ziplining experience - but don't take our word for it - come see for yourself! Sneakers Required. Enjoy this exciting combination tour - go down the river on a tube and continue on to Reggae Hill to enjoy the river, music, entertainment and specialty food and drinks. Escape Negril’s lively beach scene for a day on this tour to Jamaica’s less-visited southwestern coast. Two outdoor activities will immerse you in Jamaica’s natural beauty, showing you more of the island than just the white-sand beaches. 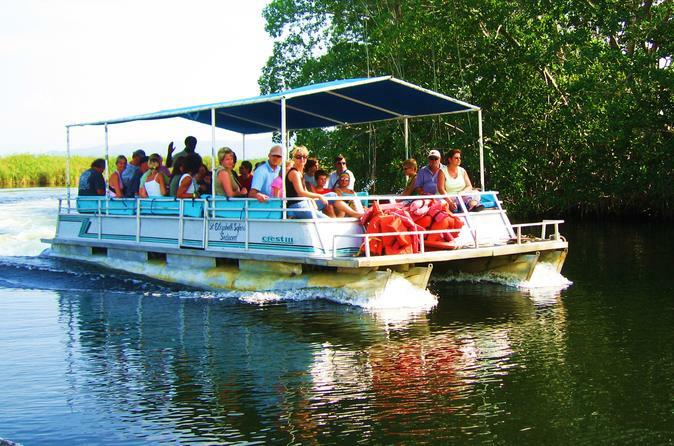 First, tour the Black River by pontoon boat and look for native wildlife like egrets, herons and crocodiles. 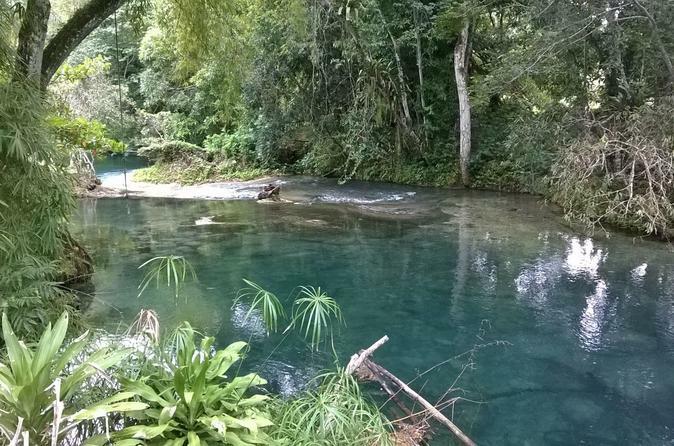 Then visit the Bubbling Springs to relax in the mineral-filled water and swim in a natural, cliff-lined pool. Experience the more 'laid back' part of the Caribbean island of Jamaica on this educational and entertaining highlights tour of Negril. With a private guide leading the way, visit points of interest like Seven Mile Beach, Rick's Cafe, and travel to local communities to mingle with locals and experience the Jamaican way of life. 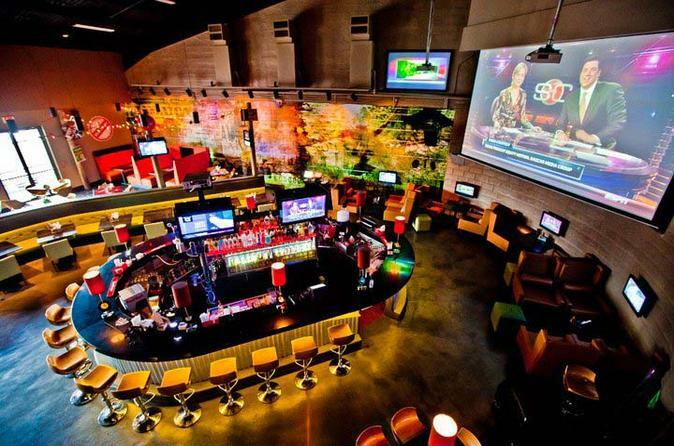 Free drinks and a local hotel pickup and drop-off are included. 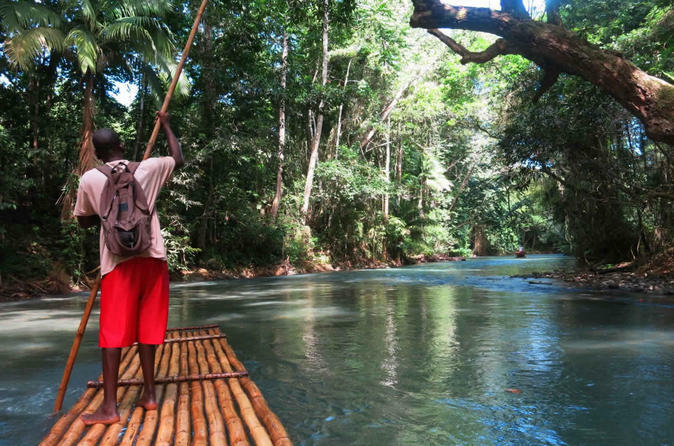 Experience an undiscovered, rustic side of Jamaica on a personalized river safari on the Black River. 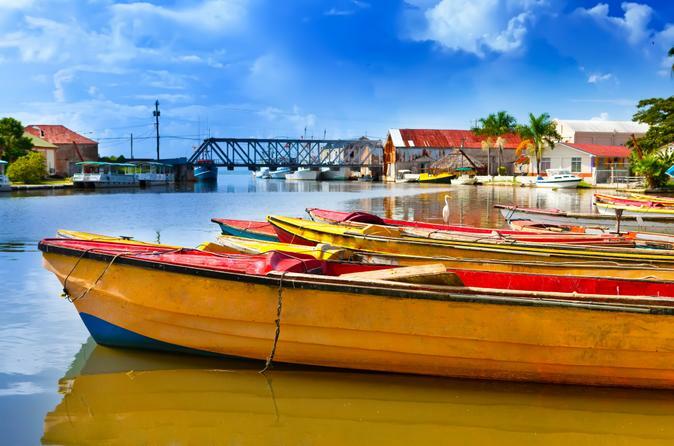 Cruise down Jamaica’s largest navigable river and see crocodiles of all sizes. 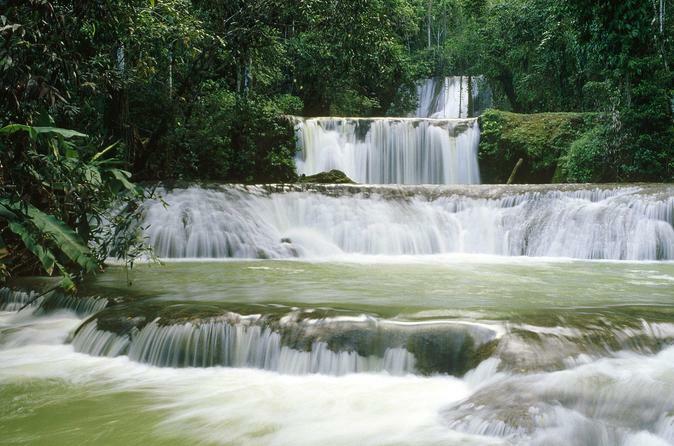 Then stop for a swim at YS Falls, a seven-tiered cascade surrounded by lush jungle. Private hotel transport is provided from Negril to St. Elizabeth Parish. 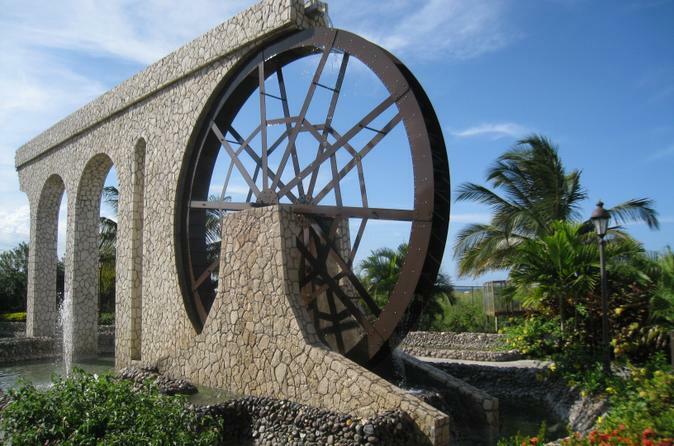 Enjoy Montego Bay, the tourist capital of Jamaica with a private tour guide! 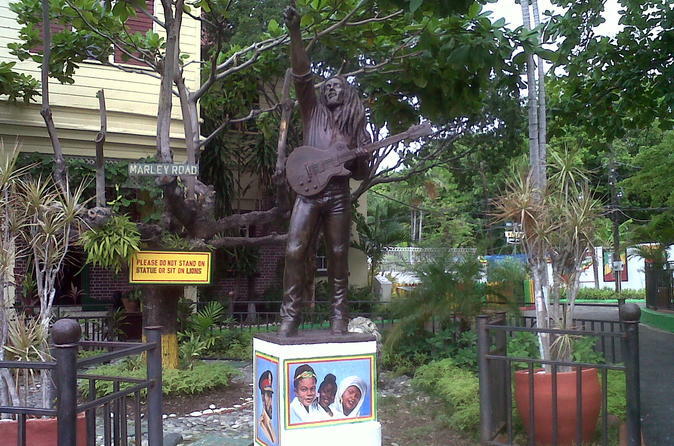 This half-day tour allows you to safely experience the city life of Kingston, Jamaica. Visit plazas and historical sights, drive through local villages, and stop in the beautiful business district. 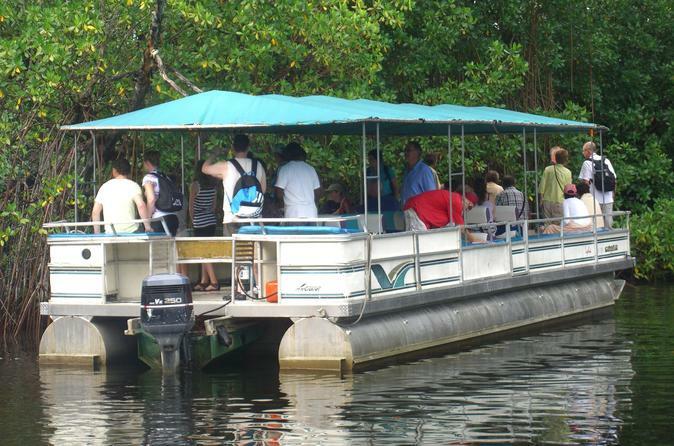 This tour is a safe and affordable way to experience Kingston, and is perfect for individuals, groups, families, and couples. This half-day tour to the Rastafarian Indigenous Village brings you in contact with local artisans, musicians and farmers in the shaded hills of the Montego River Gardens. Learn about the Rastafarian lifestyle and philosophy, which reflects reverence for nature and humanity. With the assistance of your guide you’ll take part in activities like cooking, drumming and crafts as you interact with community members. 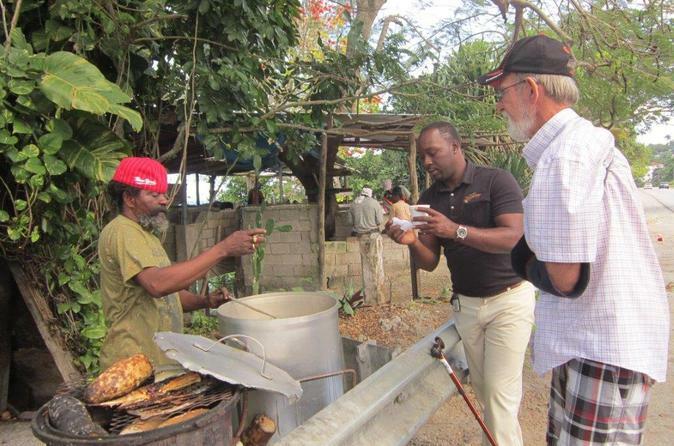 Get a taste of Jamaica with our this private food tasting tour. Enjoy the flavors of Jamaica with food such as jerk chicken, curry goat, brown stew fish, beef patties, coco bread and more. Stop at local fruit stands for refreshing pineapple, mangoes, coconuts and more. 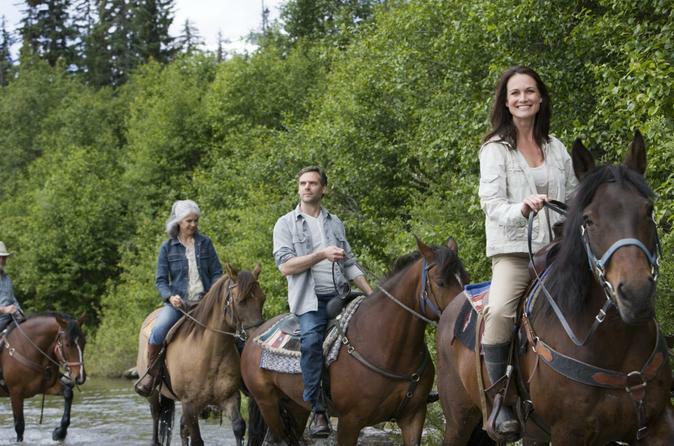 Experience a great adventure with this private tour to YS Falls. YS Falls is 120 feet tall and gently cascades over seven levels. 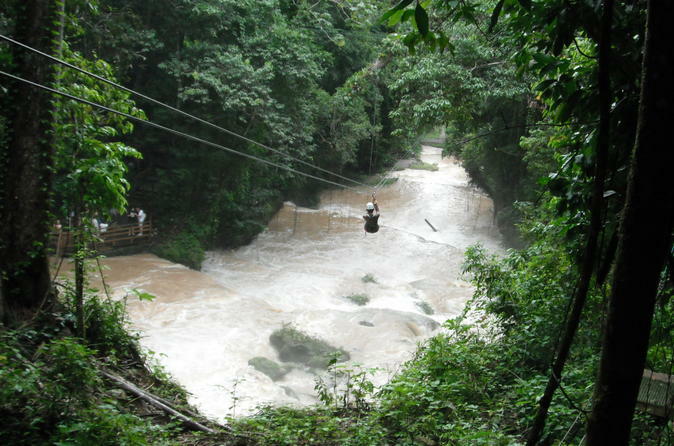 Also try the canopy zipline tour which lets visitors sail 40 feet above the waterfall. River tubing rides are also available, allowing you to enjoy the serenity of floating down the river surrounded by the lush jungle towering overhead. This private tour will be the adventure of a lifetime. 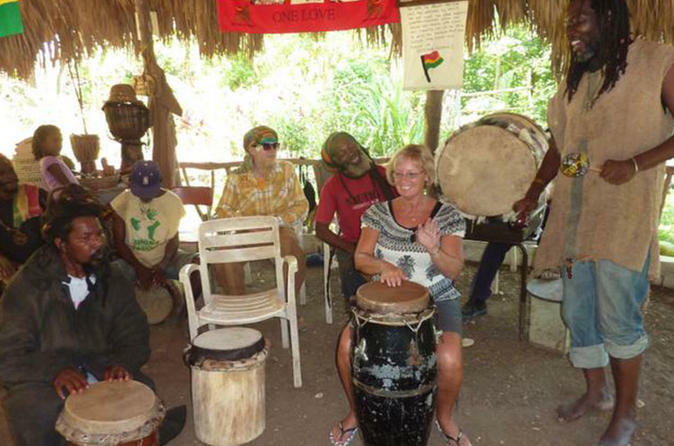 Get close to native Jamaican culture in this fun filled trip through the wildlife preserve. Explore the unique habitats of three natural flora and fauna environments: the wetlands, rainforest and grassland.